Published on 13 August 2012. 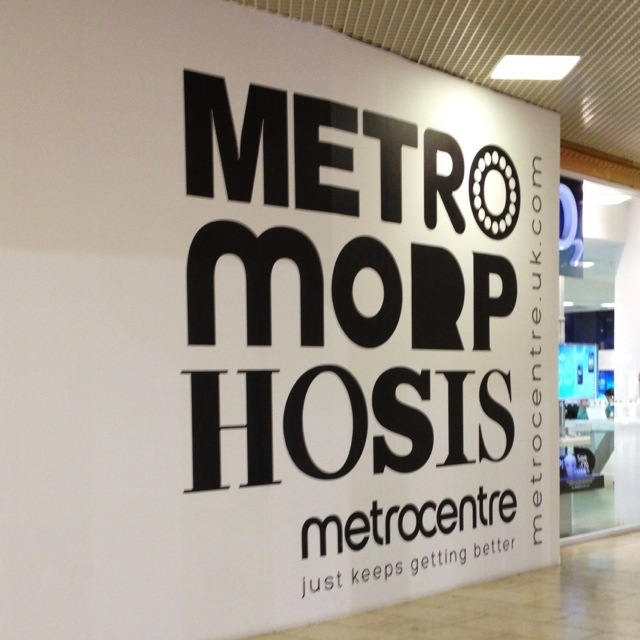 The Metrocentre has an intriguing strategy for dealing with empty shop units: they’re spun as evidence of the centre’s constant refreshing, revising, and revitalising of its brand portfolio. To my mind, it’s an approach that beats the near ubiquitous Shopjacket and its clones, which seem a little tacky. I suppose, though, this approach can only work in places where units tend not to stay empty for long – and where the empty shops are relatively few and far between. This 1,764th post was filed under: Photo-a-day 2012, Gateshead, Retail.